You can check this by flying level at, let's say, 1200m high. 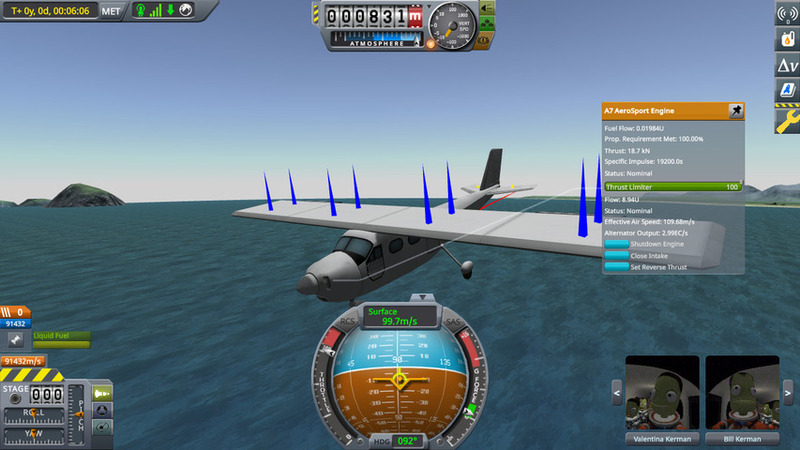 Then cutting your engine to zero, and when your airplane looses enough speed to start to dive, give pull power. At my "Karavan", this engine gave me 21.5kN of thrust until about 82m/s, when then the thrust started to drop. I managed to get about 20.5 or 20.4 kN of thrust as I get near to 90m/s, and it gets below 19kN while diving and reaching near 95 m/s. So, really, your enemy is not the drag (it's there, but it's not the main issue). It's the power curve over airspeed.